The Federal Trade Commission (FTC) has said they will be investigating in-app purchases for applications marketed to children, such as Smurfs' Village. The argument is that some children do not understand the difference between real and virtual purchases. We fully share your concern that consumers, particularly children, are unlikely to understand the ramifications of these types of purchases. Let me assure you we will look closely at the current industry practice with respect to the marketing and delivery of these types of applications. In order to make an in-app purchase, the user must enter their Apple ID and password to complete the transaction. 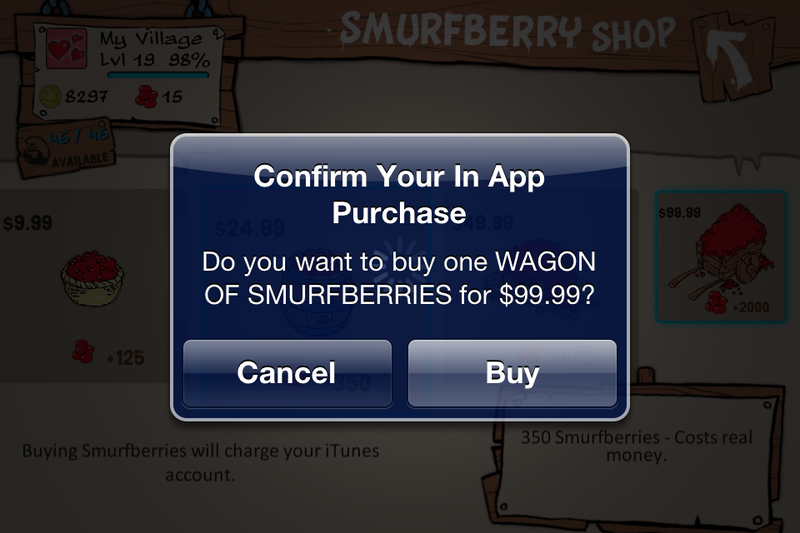 If you are a parent who shares this password with your child and is concerned about whether your child fully understands the consequences of buying a $99 wagon of Smurfberries, you can edit the parental controls to restrict the ability to make in-app purchases. What is your opinion on the FTC getting involved?